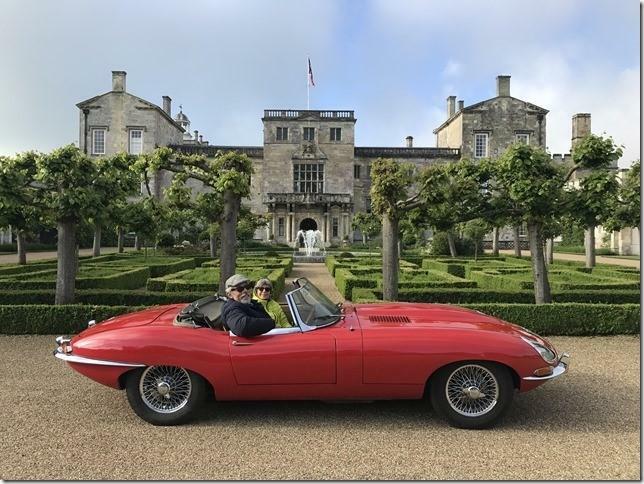 A private invitation-only gathering of classic / special vehicle owners to be held at Wilton House by kind of permission of our Honorary Member Lord Pembroke. Includes breakfast and a private tour of Lord Pembroke's own Classic Car Collection. Calling all Rotary friends. If you have a fast car, classic car, classic bike, soft top or any vehicle that might be considered a little bit special, then please accept this notice as an invitation (by kind permission of our Honorary Member, the Earl and Countess of Pembroke) to bring it along and join us for a private breakfast meeting at Wilton House on Sunday May 12th from 8.00am until 10.45am. This is a very informal private get-together restricted to pre-registered Rotarians and friends only. For those wishing to take part there is a charge of £40 to include a full cooked English breakfast two large photographs of your car and a chance to see some of Lord Pembroke's private collection of cars. For passengers it's just £20 to include breakfast. When you arrive, you will be met at the front gates of Wilton House, checked off on the register, asked for payment and directed around the courtyard. Parking will be in front of the magnificent house. Here you will have an opportunity to show off your vehicle and take pictures. If you would like to take part click here to download a registration form to be sent to the event organiser per the instructions therein.